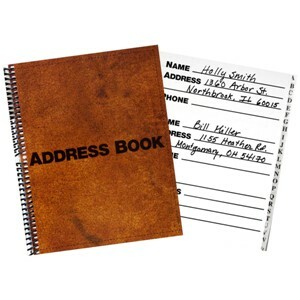 The address book is 7.5 inches X 9.5 inches. Bold thick lines to help you write neatly & clearly. Letter tabs A-Z. There are spaces for name, address & phone numbers. 3 pages per letter, double-sided. 3 contacts per page. Qty: 1 address book.